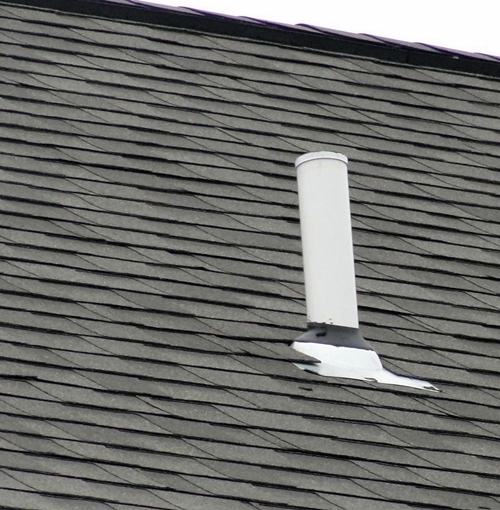 Plumbing vents are actually vertical piping going from water and sewer lines, travel up through the walls, then up and out through the roofing of the property. These vents allow air in the piping which hold pressure in balance and enables everything to proceed along the plumbing efficiently and rapidly. These vents can easily become stopped up, though, which could result in plumbing clogs. Plumbing blockages might show up in a variety of ways such as bad odors, slower drains, and backups. Drain and sewer line clogs appear regularly and for many reasons, but there are some signs to keep an eye out for when you are worried a plumbing vent might be blocked. Several are easily handled, whereas a few problems, such as corrosion, are tougher. Plumbing vents are much like every other pipe and, with the time, will most likely need to be swapped out as a result of corrosion. It’s advisable to know precisely how old your pipes are so you recognize when that time could be approaching. There are three principal indicators that a plumbing blockage is being caused by a vent block; toilets gurgling whenever flushed, slower drains, and sewer smells. While all these troubles can, of course, be a result of other things, a plumbing vent obstruction might be an uncomplicated mend for many. As discussed earlier, generally with vent clogs, fixes are not as devastating as having to replace a pipe or whole vent system. If a gurgling toilet is the issue, this is probably a good indication. In most instances, gurgling toilets don’t gradually become worse, it just will start gurgling some day until it gets repaired. The gurgling is probably brought on by an obstruction in the entry of the line like a bird’s nest or foliage. This happens since too little air is getting in the pipes through the plumbing vent causing an excessive amount of pressure. Anytime you go to flush the toilet the water is combating the pressure whenever it’s trying to move down the drain. Slow drains could be caused by a lot of plumbing problems, but the plumbing vent getting blocked might cause this too. For the same reason as the commode making a gurgling sound if it is getting pushed down a drain having high pressure, other drains will drain slower. The other drains in the house are not being forced down, therefore they are not having to battle the high pressure within the water lines, the water simply runs down the drain at a slow speed, in cases where a blockage in the vent is at fault. A bad smell of sewer gas is also an issue that could be because of a plugged vent or maybe it’s brought on by something else. The best move to make when you are experiencing one of these three issues would be to have a professional take a look at the vent entry on the roof. In the event the pipe looks good, then, at least, the vent will be eliminated. The most beneficial preventative maintenance for plumbing vents is to keep an eye on the roof to be certain there are no over hanging limbs and monitor how old the plumbing is in your house. Have us come out yearly to examine your plumbing to help prevent an unwanted plumbing repairs in Duncanville TX.